This placement allows your group to immerse yourselves in the traditional culture and help bring smiles to the faces of vulnerable children in the local community. 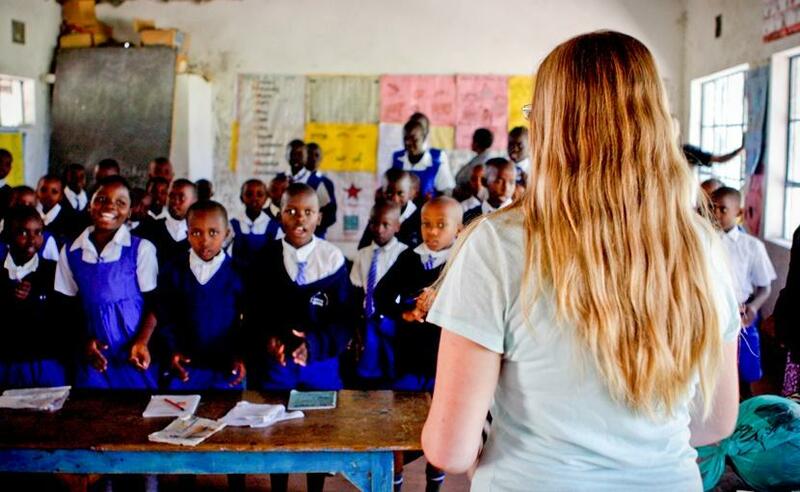 During your time volunteering in Kenya you will work in a primary school assisting teachers. Your day will be split between doing practical activities like building and renovating or painting and decorating to more teaching-based activities. 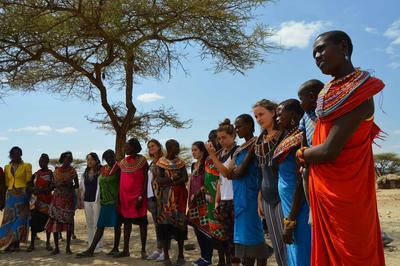 Kenya is famed for its lush forests, breath-taking mountains, tribal cultures and magnificent national parks. 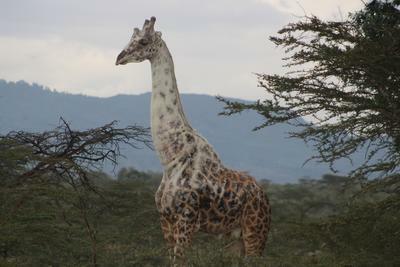 Our base in Nanyuki encompasses a lot of these unique traits and is home to the famous Ol Pajeta Conservancy and Ngare Ndare Forest. With Mount Kenya presiding over the region and the national parks all around, there are a huge number of hikes available for groups to explore offering wildlife watching opportunities within stunning scenery and landscapes. Everyday life brings together traditional tribes and urban families, ancient customs and modern sensibilities. Having gained independence from Britain in 1963, the country has become established as the dominant economy in the Horn of Africa and is a place filled with hope and exciting development opportunities. Kenya strives hard to ensure that everyone speaks fluent English and this is reflected in the education system. All schools, both primary and secondary, are English speaking and all the lessons are carried out in English ensuring a bilingual policy for future generations. In 2003 primary education was made free and was an obligatory requirement for all children. This meant that there was a huge influx of children but unfortunately not enough teachers. This is still the case today and the teacher- pupil ratio is a significant problem. Your group will be welcomed in order to assist and take the pressure off the teachers and provide the children with the individual attention they so desperately need. 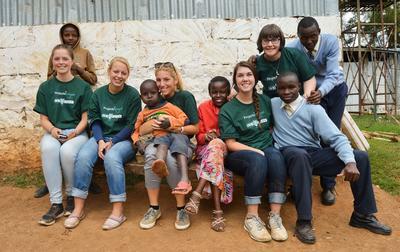 Our Teaching placements are based in and around the town of Nanyuki. All the lessons are taught in English and many groups teach and assist with a variety of different subjects and extracurricular activities. Your group members will often start as classroom assistants helping the local teacher with the classes and working with small groups of children on conversation based tasks. Depending on your group’s ability and preferences you may be asked to take the timetabled classes for a range of ages. Your encouragement and some well planned, interesting lessons are often all that is needed to spark an increased interest in the language and a desire to improve. If any members of your group have any special interests or skills, do let us know when you apply. We will then try to match you to a school where your group’s talents will be put to good use. Projects Abroad also offer specific school sports placements, if you think your group will be better suited coaching children than working inside a classroom. When you are not working this country will provide your group with unlimited opportunities to travel and explore. During the weekend you will get the opportunity to experience the fantastic scenery and spectacular wildlife of one of Kenya’s mystical forests or wildlife conservancies.